See scan - very good condition. This is a nice and rare Soviat Russian USSR WWII era wartime socialist / communist patriotic propaganda pin of the portraits of Stalin and Lenin next to each other. 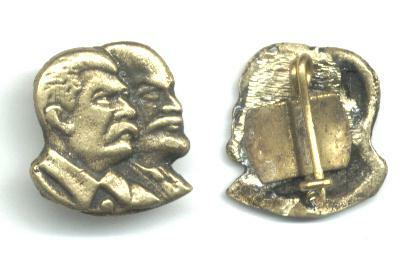 Nice and scarce collector piece and one of the nice Russian pins.